Take a bit of country flair to the golf course with our Desert & Western Themed golf tee bag. Remember the song Rhinestone Cowboy written by Larry Weiss made famous by Canadian singer Glen Campbell? 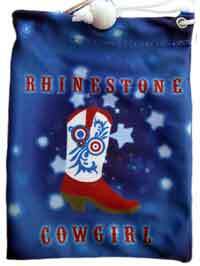 Lady golfers, take that country inspiration to the golf course with our Rhinestone Cowgirl tee bag. 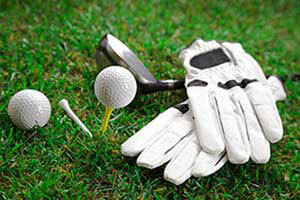 Thinking of organizing a western themed golf tournament? Our western themed golf tee bag would be a great tee gift! Contact us to see what tee prize packs we can put together for you.